The retail industry has gone through some major changes over the past few years. With the inception and subsequent explosive popularity of e-commerce, retail has been forced to adapt and overcome. However, that hasn’t stopped the sector from hearing about the menacing “retail apocalypse.” With reports of ghost town malls and bankrupt big-box stores, some real estate professionals, landlords, and investors are left to get creative when filing vacant retail space. Though this may seem disheartening, as finding permanent successful tenants can often take months, don’t fret. There are options to monetize your empty retail space and create income in the meantime. Let’s take a look at 5 ways to do so below. Pop-up shops have become increasingly popular in recent years. 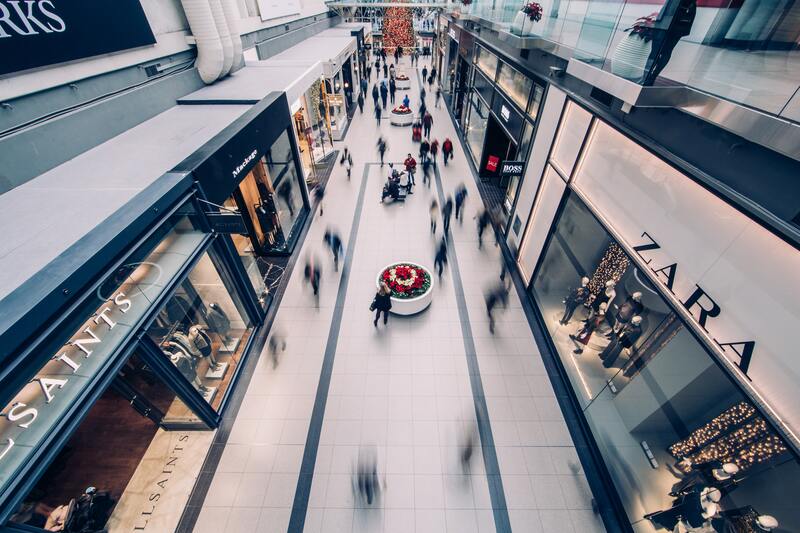 By offering your space to short term retail shops, your space can remain occupied and often create extreme buzz and foot traffic. If your space has common retail necessities such as wi-fi, technological capabilities, and a restroom; you can accommodate most pop-ups. The company normally will provide everything else, and advertise the location. So, advertising your space for pop-ups can help fill space and a pop-up tenant may even become a permanent one. Similar to pop-up shops, vacant space used for event rentals can be very profitable. Various opportunities such as celebrity appearances, party venues, private event hosting, and more have proven popular and profitable. For this purpose, try to keep your space neutral so that events can superficially customize the space. Be sure to check with your real estate team and local government to ensure what is allowed for your space. Additionally, if you pair up with common event services and are able to provide a list of trusted caterers, decorators, or DJs in the area, you can maintain additional appeal. If your space has been vacant for an increased amount of time, you may want to think about subdividing the space. This can create smaller parcels which can be leased for less, appealing to smaller, often times local, businesses. Shopping local is becoming more popular and can be extremely profitable for landlords. Traditional and non-traditional gallery spaces have become a good option to take over vacant retail space. If you have a mall or plaza it allows for a new tenant that does not pose as competition for existing retail space. Additionally, in the social media obsessed age we live in, interactive galleries such as the Museum of Ice Cream, or Candytopia have become incredibly trendy. So weather leasing to an artist who want to showcase their work, an art broker, or an interactive gallery, art spaces are a great way to fill vacant space. Renting vacant space to nonprofits are a good way to make sure your spaces are not empty. Though space is normally gifted for free, it can increase foot traffic and current tenants do not consider them as competition. So as the retail market changes, be creative and thing out of the box when it comes to filling and monetizing vacant space! This entry was posted in Ashby Real Estate Group News, NAI Dominion News on January 29, 2019 by Lauren Henderson.